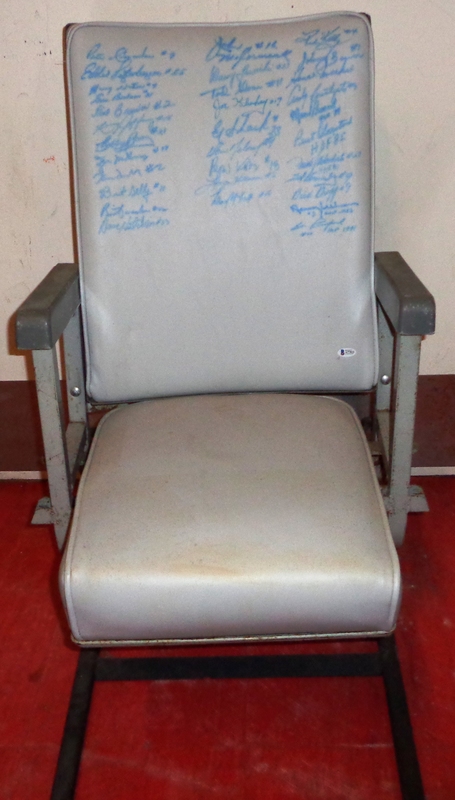 Nice seat from MLG signed by 34 former leafs. The seat back is not attached, but that would be easily remedied with a trip to the hardware store for a couple of nuts and bolts. Shipping may be expensive. Local pick up is recommended if possible. Includes Beckett Authentication Services certificate of authenticity.